Microsoft is reportedly planning to launch a new Surface-branded Windows 10-powered tablet that won’t cost more than $400 and it would compete with Apple iPad in the education market. The rumored Surface tablet will feature rounded corners and it may still borrow some design cues from the existing models of Surface Pro lineup. The software maker is rumored to launch the Surface Tablet to compete with the iPad this year, according to Bloomberg’s sources. 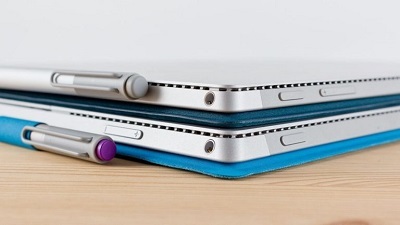 The key capabilities of the Surface lineup such as Type Cover, note-taking would be retained. The tablet will feature much less powerful chips than the current Core i5 and i7 models offered on expensive Surface Pro. It’s a low-cost model and it won’t come with high-end specifications. It’s likely that the device will look decent look, just like the Surface Pro models. Microsoft won’t go for Intel Core i5 or i7 processor but instead will pick Pentium processors to keep the price below $400. In terms of graphics and processors, Intel is on tap to supply both. 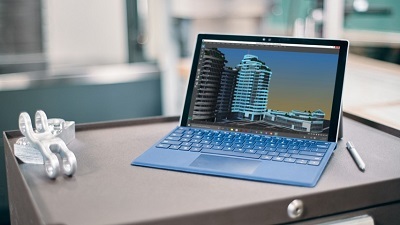 The report suggests that the low-cost Surface will use Pentium Silver N5000 and Pentium Gold Y-series processors. It would be considerably faster than the Atom-powered Surface 3, and the top-of-the-range model will be equipped with Intel Pentium Gold 4410Y or the Intel Pentium Gold 4415Y. Configurations may include 64GB of storage and 128GB of storage, coupled up 4GB of RAM and 8GB of RAM respectively. It’s expected that the new lower-cost model will weigh less and also have a shorter battery life. More details are posted on OUR FORUM. Back in May, Microsoft revealed that it is blocking the installation of Windows 10 April 2018 Update on a few Alienware computers. Due to compatibility issues, Microsoft was blocking Windows 10 April 2018 Update on the Alienware 13 R3, Alienware 15 R3, Alienware 15 R4, Alienware 17 R4, and Alienware 17 R5. It appears that Microsoft has lifted the ban and Windows 10 April 2018 Update is now ready for all Alienware computers. An Alienware employee confirmed to us that Windows 10 April 2018 Update should install on Alienware PCs automatically and there will be no issues. “Microsoft update 1803 is now ready for Alienware computer. This one should run automatically already if no feel free to run it. It works now,” the company told us in a tweet embedded below. 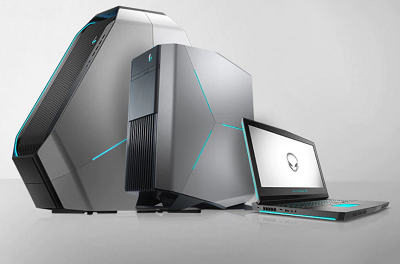 Back in May, a moderator on Microsoft’s support forum, Jess Can, had confirmed the compatibility issues with Alienware. “Microsoft is currently blocking these models from installing the update due to a known incompatibility that may cause these devices to display a black screen after resuming from battery saver mode,” the moderator explained. It’s worth noting that the page on Microsoft forum hasn’t been updated with new information as of yet. We have the model numbers listed on OUR FORUM. Microsoft’s low-cost Surface has passed through the FCC recently, and now more information about the $400 Surface tablet has been revealed. Via WinFuture.de we hear the device will be powered by Intel Pentium Gold and Pentium Silver chipsets. The cheaper models will most likely come with the Intel Pentium Silver N5000, a four-core x86 SoC from the “Gemini Lake” family running at 1.1 gigahertz base clock, and up to 2 when needed, 2.7 GHz can clock up. The more expensive versions will likely feature the Intel Pentium Gold 4410Y and the Intel Pentium Gold 4415Y, both based on the “Kaby Lake” architecture. The chips are based on 14 nm process and can be fanless. The device shows up on Geekbench with OEMTX EV1 or OEMTX EV1 LTE codenames, confirming the presence of an LTE version. There the devices run Windows 10 Pro 64bit with 4 to 8 GB of RAM. The cheaper Surfaces are expected to hit the market in the second half of 2018 and Bloomberg reports will have 10-inch screens and more rounded edges. The tablet is expected to drop the Surface Connector in favor of standard USB-C. They will also be lighter with around 9 hours of battery life. It will retain the iconic built-in kickstand. This is continued on OUR FORUM. In a 747-page document provided to the US House of Representatives' Energy and Commerce Committee on Friday, Facebook admitted that it granted special access to users' data to 61 tech companies. According to the document, these 61 companies received a "one-time" extension so they could update their apps in order to comply with a Terms of Service change the company applied in May 2015. 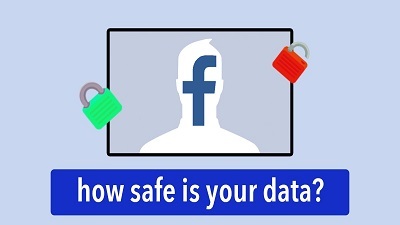 The six-month extension was applied from May 2015, onward, when Facebook restricted its API so apps could not access too much data on its users, and especially the data of users' friends. The API change came in a period when apps like the one developed by Cambridge Analytica were using the Facebook API to mass-harvest the data of Facebook users. In May 2015, Facebook realized that apps were abusing this loophole in its permission system to trick one user into granting permission to the personal data of hundreds of his friends, and restricted the Facebook API to prevent indirect data harvesting. But these 61 tech companies, because they ran popular apps, received an exemption to this API change, during which, theoretically, they could have abused the Facebook API to collect data on Facebook users and their friends. Data that could have been collected included name, gender, birthdate, location, photos, and page likes. The 61 companies are listed on OUR FORUM. Well, that was not completely unexpected. 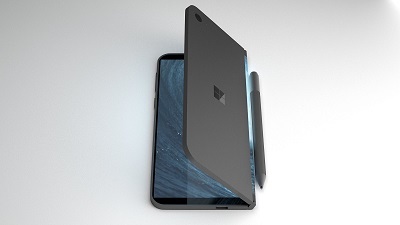 Despite building rumors of a 2018 release for Microsoft’s long-rumored dual-panel mobile Surface device ZDNet’s Mary Jo Foley reports that the project has been put on hold. Reportedly part of the reason is that AndromedaOS which powers the device is just not ready to ship in time for RedStone 5, due to “scheduling and quality” issues. MaryJo also said there was no guarantee it will show up in the next version of the OS either. Another reason, however, is that some in Microsoft just does not see enough demand for a pocket-sized foldable Surface device which can only run store apps. The device may eventually make it to market as a larger PC-sized (we assume laptop-sized) device that can run regular apps. MaryJo reports the decision to withdraw Andromeda from RedStone 5 was made within the last few weeks and blames it in part on a recent April Microsoft reorg. She suggests the steady stream of leaks in recent weeks was by internal fans of the project and intended to drum up external support for the doomed project. It is notable that every recent leak has come with a proviso that the project could still be canceled at any moment. More can be found on OUR FORUM. Exploit broker Zerodium is offering rewards of up to $500,000 for zero-days in UNIX-based operating systems like OpenBSD, FreeBSD, NetBSD, but also for Linux distros such as Ubuntu, CentOS, Debian, and Tails. The offer, first advertised via Twitter earlier this week, is available as part of the company's latest zero-day acquisition drive. Zerodium is known for buying zero-days and selling them to government agencies and law enforcement. The company runs a regular zero-day acquisition program through its website, but it often holds special drives with more substantial rewards when it needs zero-days of a specific category. BSD zero-day rewards will be on par with Linux payouts. The US-based company held a previous drive with increased rewards for Linux zero-days in February, with rewards going as high as $45,000. 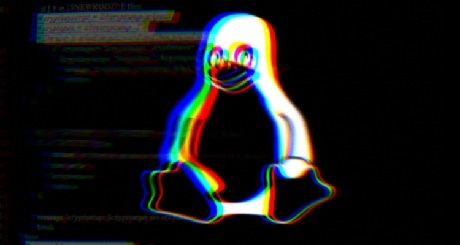 In another zero-day acquisition drive announced on Twitter this week, the company said it was looking again for Linux zero-days, but also for exploits targeting BSD systems. This time around, rewards can go up to $500,000, for the right exploit. Follow this thread on OUR FORUM.